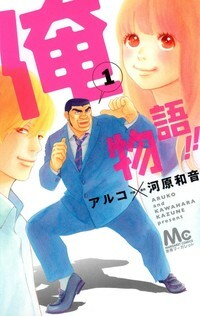 In the case of My Love Story we’re dealing with Takeo who has never been attractive to the girls, who all much preferred his best friend, and has resigned himself to thinking that Rinko Yamato whom he one day saves is also in love with his best friend as well. Even once we move past this stage of the story Takeo and Yamato still have very real and down to earth issues. Sure, not all of them are as realistic as others, but Yamato feeling like she’s not worth Takeo because she’s not as ‘pure’ as he thinks? Because she wants to hold his hand and cuddle him even though he resolved never to lay a finger on her until she’s older? These are all believable issues that are done very nicely in the anime and I wouldn’t be surprised if the original manga is just as strong. The thing is both My Love Story and Say I Love You give us realistic characters that are incredibly relatable in one way or another but not a lot of recent series come to mind which are doing the same thing. The series that spring to mind for me are Love So Life (which hasn’t been licensed in English at the time of writing), and Your Lie in April. Although the latter example might have realistic characters the situation they’re in is likely less relatable than other series… Dengeki Daisy has the same issue of relatable characters and a couple with very relatable problems but in such an unrealistic setting that it doesn’t really fit what I’m thinking about here. 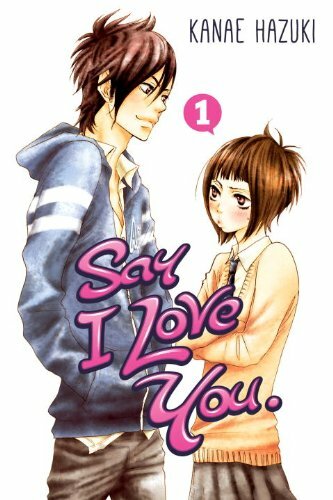 There is Kimi Ni Todoke to consider as well I guess, which does pretty much fit the bill as far as examples of series doing it right.